To all of you followers who are passionate about cookie decorating…boy do we have a fun treat for you! The fabulous Julia Usher, author of Ultimate Cookies and Cookie Swap, just launched a new online cookie community called Cookie Connection! A special place to learn, share, and celebrate the art of cookie decorating. Cookie Connection is her attempt to bring the world of cookiers closer together by placing photos, blogs, videos, chats, tutorials, and other resources all in one spot. We think you will love it and find it a valuable resource for all things cookie decorating related! Check it out HERE. With that said we would also like to announce the first cookie contest of Cookie Connection sponsored by Fancy Flours! Not only will our beloved and talented owner Nancy Lee Quist assist Julia in determining the finalists, but she has also donated the grand prize! The grand prize is a $100 gift certificate towards products purchased at Fancy Flours + the winning photo will be featured in an upcoming Fancy Flours catalog and/or on fancyflours.com. *Note: Finalists will also be featured on Cookie Connection and in Julia Usher’s Facebook and Pinterest channels. 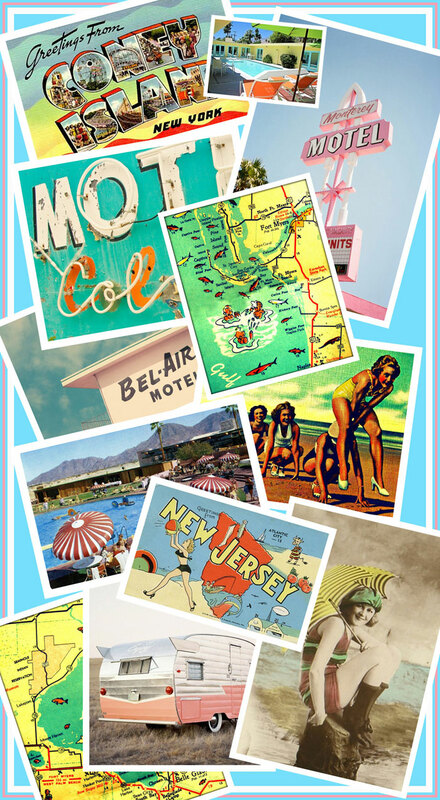 – A photo of a cookie or cookie set that you made, which was inspired by the Vintage Vacation inspiration board. Visit the contest inspiration board on Pinterest. – Your entry must also demonstrate the use of at least one of these decorating techniques: (1) Marbling; (2) rubber-stamping; or (3) stenciling. – You may submit as many entries as you’d like, but do not submit multiple versions or views of the same cookie(s). Visit the official contest page at Cookie Connection for details on how to enter in this cookie decorating contest. This entry was posted in All Things Baking, Announcements, Baking Inspiration, Summer Fun Baking and tagged contest, cookie connection, cookie decorating, fancy flours by Fancy Flours. Bookmark the permalink.